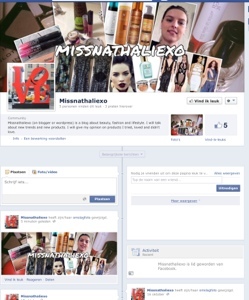 missnathaliexo | A blog about fashion, beauty, traveling, and other fun stuff and cool places. Oh my god! The months are going so quickly lately. Just two more months and we are in 2014. So this means it’s time for some monthly favorites. First product that I liked is a haircare product. It’s the Macademia deep repair masque. I already bought it at the end of September, but because you can only use this product once a week I couldn’t tell back then if it was good or not. But now I can say that it is an awesome product! There will be coming a full review soon. 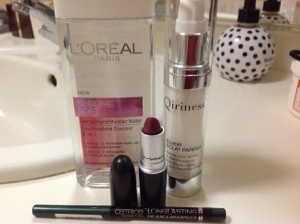 For skincare then, I really enjoy using the L’Oreal Sublim Soft eau micellaire. It is a toner and make-up remover in one. It’s ideal to use ase a toner/clarifying lotion to cleanse your skin. Or you can use it as a make-up remover. I use it as a replacement for the Bioderma eau micellaire. This product will also get a review soon. 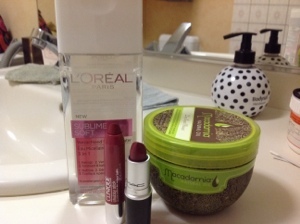 And last I have two make-up products that I constantly use and love. One of them was in my september favorites as well. It is the Clinique Chubby Stick in Super Strawberry. It is such a nice product and color. It is great to throw on while your on the go. It’s easy to apply and it gives a nice color to your lips. 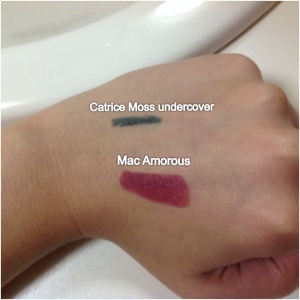 The second one is also a lip product and it is a Mac lipstick in Amorous. It is the perfect fall/winter berry color! The lipstick glides on easily and is not really drying for your lips, and it is a beautiful color. First of all I wanted to wish you a happy halloween! 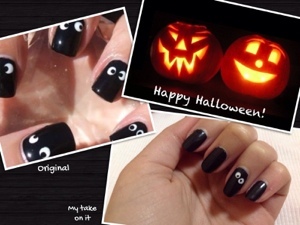 Second, I have a quick little post for halloween-inspired nails. I know it is nothing spectacular but I wanted something that you could also have on during the day. So I didn’t went to overboard and only went for a “statement” nail (my ring finger). I got inspired by a picture I found online and I wanted to try it out myself. It’s a simple black nail with some googlie eyes on it. So here are the few simple steps to recreate this look. And there you have some googlie eyes! We are really getting into fall/winter now. It is getting colder and more dark outside. So time for our fall/winter outfit. Every season there are some trends, and I wanted to list a few of them. 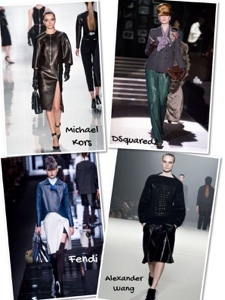 This fall/winter leather, fur, green, burgundy, tweed are some of the trends. You can’t go without leather this winter. It doesn’t need to be a shiny piece but also a matte piece looks great! And you can go with all sorts of color, it doesn’t have to be black. Almost every fall/winter season you can find fur in collections. And this year is no exeption. But leave the classics behind and go for a colorful piece. 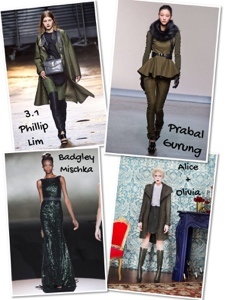 Colors like darker greens and hunter green are in this season. You can find a lot of pieces in the collections of different brands. Burgundy is the new black! 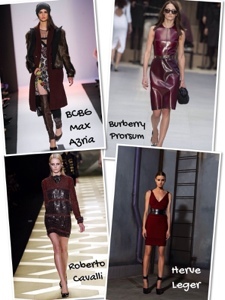 You can’t go without a burgundy item in your closet this season. Just like the green you can go with any item you want. Pants, swaeters, dresses, tops, etc. I think it also looks great in a leather skirt. When people say tweed, you immediatly think Chanel-jacket. Right, but this season tweed is all over the place. You can find tweed coats, skirts, pants and evens shoes! If you want, you can also go for an item in a neon color. Other trends you can’t go wrong with are printed pants, oversized items, military items, and as always the classic black and white colors, and so on. While writing this, I think I should look for some new pieces to complement my closet because I am missing some fall/winter trends in my closet! 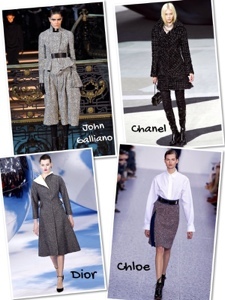 What trends do you like this season? 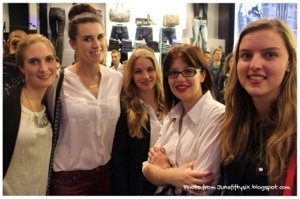 Thanks to Nathalie from Curls and Bags I was able to go to the opening of the armani Jeans store in Antwerp on thursday. It was a very fun experience. We were treated with lots of food and drinks. It’s a very nice store, the outside has a more old-feeling to it, but on the inside it is modern, and I think it complements eachother well. The store has two levels. 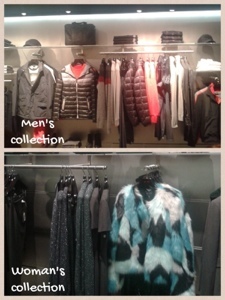 On the ground level they sell the men’s collection, on the second level they sell their woman’s collection. You can find all things from clothes, to shoes, to accessories. When looking at the woman’s collection I noticed a lot of green and burgundy. And there was one jacket that was the eyecatcher in the store. It was a multicolored fur jacket as you can see on the photo. 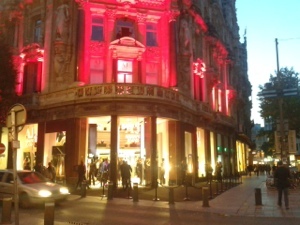 You can find the store in Antwerp, Leystraat 30.